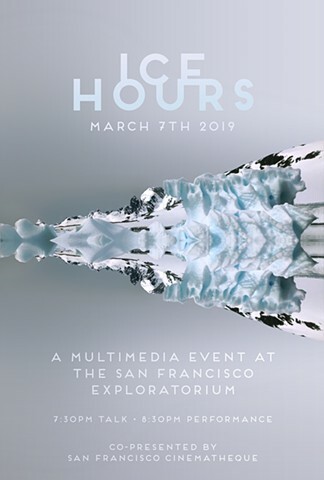 Crafted from over a decade of video footage, Ice Hours features stunning views of Antarctic landscapes and the surrounding ocean set to an original score. Offering a glimpse into the overwhelming majesty of the natural world, the piece reflects on nature’s fragility, and presents a cathartic lens as an acknowledgment that we, in our inevitable turn, are faced with such fragility as well. At its core, the piece illustrates the inextricable connection and interdependence of humans and the natural environment and documents inspiring and endangered features of our changing planet. 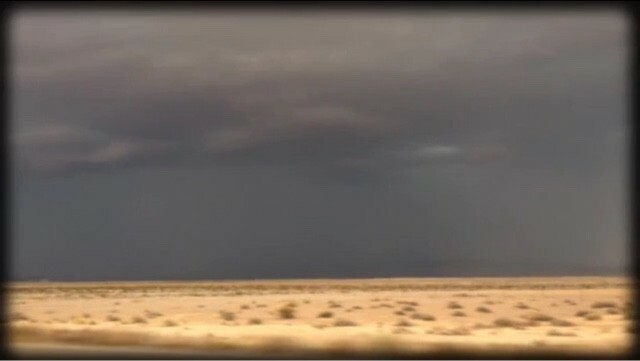 The work is a collaboration between photographer Camille Seaman, film artist Kim Miskowicz, and composer/musicians Kristina Dutton and Nathan Clevenger. Composer/guitarist Nathan Clevenger was born in Oakland, California, and has been composing music informed by his voracious consumption of jazz, classical, and popular music from around the world, and an obsession with the written word, from an early age. Composer/performer Kristina Dutton works in a wide range of musical settings. Her rigorous classical training led her to a brief career in orchestral work, but she soon gave herself over to her love affair with the art of pop music; she has performed on more than 40 albums of various genres. Kim Miskowicz is a visual artist based in Oakland, California. 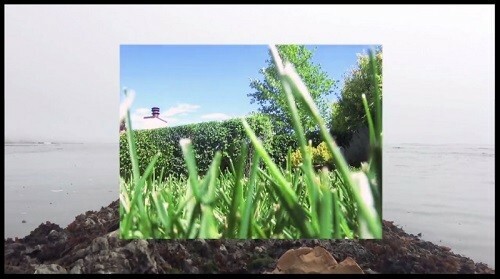 Her work has been exhibited at numerous Bay Area venues including Artists’ Television Access, Headlands Center for the Arts, San Francisco Cinematheque, Southern Exposure, and Krowswork. Her paintings and films are inspired by her belief in the therapeutic effects of viewing distant forms in the landscape. Camille Seaman is an American photographer who applies portraiture strategies to capture the changing natural environment. Her work mainly concerns the polar regions, where she captures the effects of climate change, merging the realms of science and art. IN CIRCULATION is a solo exhibition of new collages by the artist Kim Miskowicz. 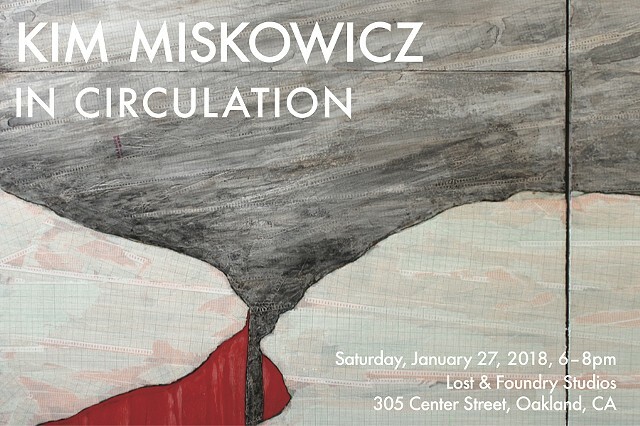 This show at Lost & Foundry Studios includes two premieres of larger works from Miskowicz’ fictional landscapes created from found recording chart papers from the Black Hole Surplus in Los Alamos, NM. The Black Hole Surplus was a large thrift store from the collections of a former Los Alamos National Labs machinist and technician, Ed Grothus. 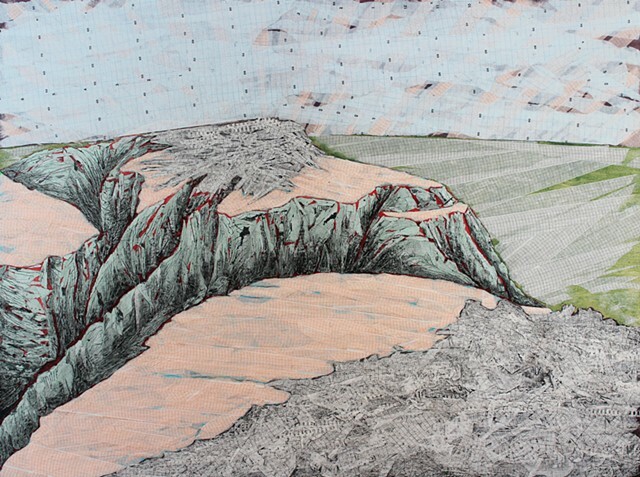 Miskowicz renders vast landscapes by cutting, tearing, and gluing each layer of paper to add depth and texture. Miskowicz also uses the variety of paper thickness and printed patterns to guide the viewer into skies, water, and pilings of unknown formations. These rough-edged horizons with sediment-filled crevices contain criss-crossing, overlapping lines that are used to graph formations and devise places that exist in these papers. JANUARY 2018 - 2 shows! VAULT is a solo exhibition of new collages by the artist Kim Miskowicz. In this latest series, Miskowicz creates fictional landscapes from layers of found oscilloscope and other technical recording papers from the Black Hole Surplus in Los Alamos, NM. The Black Hole Surplus was a large thrift store from the collections of a former Los Alamos National Labs machinist and technician, Ed Grothus. 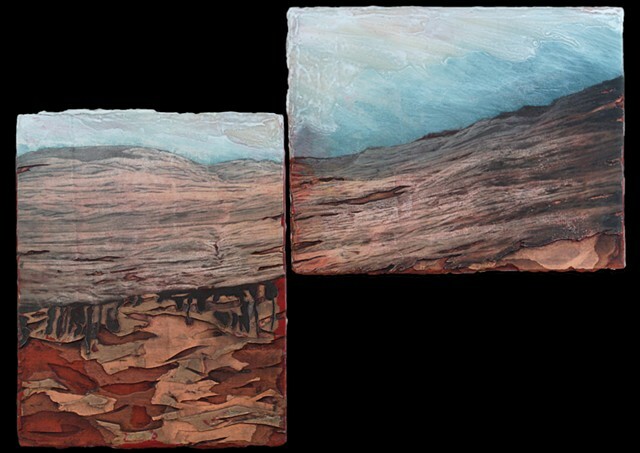 Miskowicz slowly renders these vast landscapes by cutting, tearing, and gluing each layer of paper to add depth and texture. Miskowicz also uses the variety of paper thickness and printed patterns to guide the viewer into skies, water, and pilings of unknown formations. 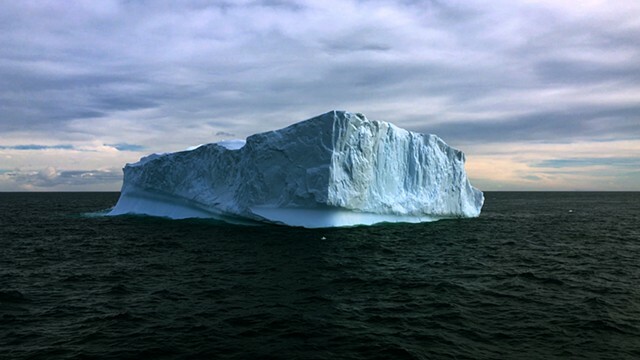 These rough-edged horizons with sediment-filled crevasses contain criss-crossing, overlapping lines that are used to graph formations and devise places that exist in these papers. with music spun by Tim Buckwalter! These imaginary landscapes are created with layers of found oscilloscope recording papers from the Black Hole Surplus in Los Alamos, NM. The Black Hole Surplus was a large thrift store from the collections of a former Los Alamos National Labs machinist and technician, Ed Grothus. Due to the nature of how I like to render formations, my process is slow with cutting, tearing, and gluing each layer to add depth and texture. 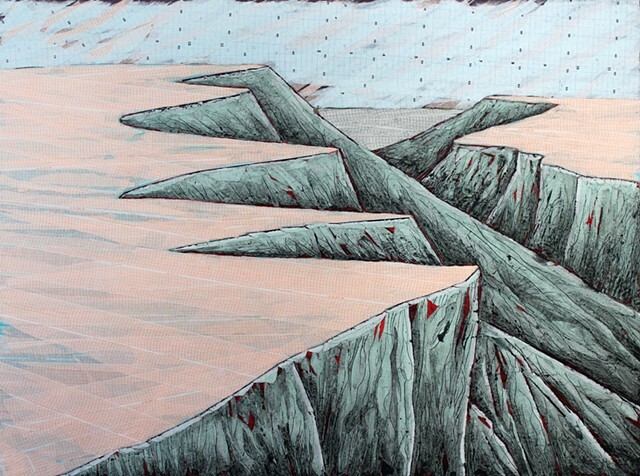 These rough-edged horizons with sediment-filled crevasses contain criss-crossing, overlapping lines that are used to graph formations and devise places that exist in these papers. NIAD Art Center’s visual art program promotes meaningful independent living by artists with disabilities—while its artists create remarkable contemporary art. In a unique open studio environment, and with the guidance of qualified staff, NIAD artists acquire new skills in artistic practice and in independent living. I hope you are well, and hope to see you soon! 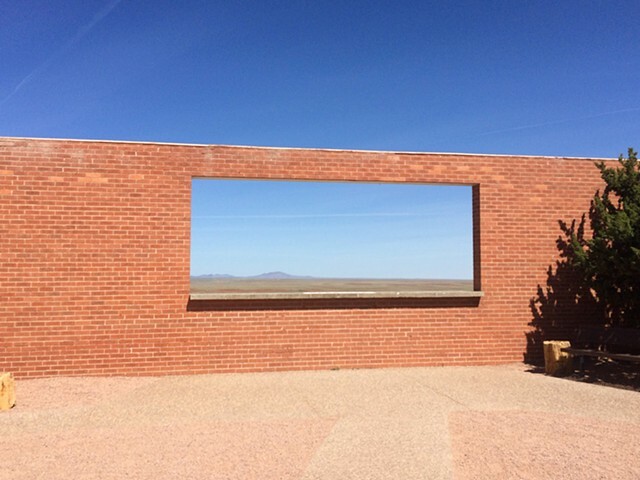 Drawing from her video archive of references for her 2-dimensional work, Miskowicz weaves the sublime with reminders of its impermanence such as listening to crickets at the North Rim of the Grand Canyon interrupted by the starting of a car. In this intimate program of moving images, Kim Miskowicz explores cognitive and physical place, animated found imagery, pulsating landscapes, privacy and video fragments within a variety of formats. Screening will include films and videos spanning nearly a decade of other compositional musings and nostalgic speculations on points in space. See new cell phone camera generations of “XU Extract,” in celebration of it’s 11th birthday, a generationally updated and downgraded video that chases conversions of moving image formats, with each new generation containing a small part of the first. One of my LABELS SERIES paintings, "Wall With No Name," is included in Common Ground: A Celebration of Our National Parks at the The David Brower Center in Berkeley, CA. This exhibition is a celebration of the hundredth anniversary of the National Park System as seen through the eyes of Bay Area artists. There will be a beer and wine reception, free and open to the public. I hope you can join me at the reception! 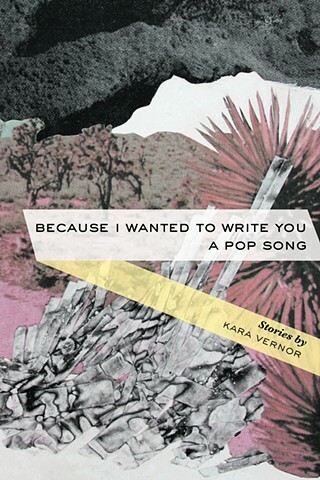 ALSO, I had the fortune of working with the brilliant flash fiction writer Kara Vernor on her upcoming chapbook, "Because I Wanted to Write You a Pop Song," for Split Lip Press. The cover art is based on my recent LABELS series maquettes. Get this on your list of summer reading material for June 2016! The Brower Center is excited to announce our 2016 juried exhibition, which will run from May 20 – September 8, 2016. On the hundredth anniversary of the National Park System, the 2016 juried exhibition will address "America’s Best Idea" as seen through the eyes of local artists. The 2016 juried show jurors are Stephanie Hanor, Director, Mills College Art Museum, Katrina Traywick, Director, Traywick Contemporary, Laurie Rich, Executive Director of the David Brower Center, and Sean Uyehara, Director of Programs, Headlands Center for the Arts. This year marks the centennial of the Organic Act of 1916, which established the National Park Service. The purpose of the agency is, “to conserve the scenery and the natural and historic objects and the wild life therein and to provide for the enjoyment of the same in such manner and by such means as will leave them unimpaired for the enjoyment of future generations.” Art was crucial to creation of the National Parks System, and continues to be essential to advocates for parks: The oils of Albert Bierstadt, Thomas Hill, Thomas Moran, and other painters of Yosemite moved President Lincoln, in 1864, to protect that most beautiful of valleys as a park. Paintings and photographs of Yellowstone had the same effect in 1872. The success of David Brower and Ansel Adams in getting a copy of Adams’s portfolio of photographs, Sierra Nevada: the John Muir Trail, into the hands of Franklin Roosevelt tipped the balance in creation of Kings Canyon National Park. Artists today continue in this tradition. Maya Lin’s “Confluence Project,” made up of collaborative installations in parks along the Columbia River, and her “What Is Missing” project commemorates the biodiversity vanishing now in the Sixth Extinction. Conceptual artist Amy Balkin proposes a “clean air park” in the atmosphere and a “global commons.” These contemporaries carry on artistically the conceptual work of activists like David Brower, whose full-page 1969 New York Times ad proposed that this planet become a “conservation district” within the universe--an “Earth National Park"--and of the evolutionary biologist E.O. Wilson, who, at the national parks summit last May, proposed setting aside half of our planet for life forms other than ourselves. OTHER HOURS: Saturday, Jan 2 1-5; Friday January 8th, 4-8; Saturday, Jan 9, 1-5. You are invited to “Something For Everyone,” at Lost & Foundry Studios 305 Center Street, Oakland, CA, on December 12th 5­-7 PM. SFE is a group show of work by 10 artists living and working in the Bay Area. Lost & Foundry Studios and Gallery is a 15,000 square foot facility that contains work space for 11 artists and a gallery. The mission is to maintain a space where creative freedom can be pursued on an individual and collective level. L&F aims to provide a cultural base for the members by hosting exhibitions for themselves and colleagues to provide a bridge between artists and the communities they live and work in. Many of the Lost & Foundry residents will have their studios open for viewing during the event. SF Cinematheque Benefit and more! I donated a diptych, Record Holders, to San Francisco Cinematheque's 5th Annual Art Auction and Benefit. This will be a fun celebration, with great food, wine, music and art (for sale by auction) contributed by over 60 great artists. BID ON MY PIECE HERE! FINALLY, I’ve updated my website with 3 new artworks and documentation from my solo show at Krowswork last fall, including my limited edition collage/video albums for sale. Join Security Question artists for an evening wine reception in the Brower Center’s Hazel Wolf Gallery. Artist Kim Miskowicz will present a live edition of Saving the Next to Last, a “reverse archive” of digital material transferred to the analog format of Super 8mm film. By documenting fake security questions and Google Earth locations on celluloid, Miskowicz playfully argues that a physical record might be more long-lasting than a digital one after all.